Andrew chatted with us about his heart-pumping first experience with theater. ‍Fool for Love, Sam Shepard (Magic 2017). Dir. Loretta Greco. Jessi Campbell (May) and Andrew Pastides (Eddie). Photo: Julie Haber. What is your favorite line in Fool for Love? I can't tell you my favorite line or it won’t be my favorite anymore but one I like a lot is "Whatsa matter with you?" I remember first being in a theatre and I remember its scope and danger compared to my little body. Too many people around. The lights made me nervous. The red curtain came up and the music started and the people hushed which made me think something was going to happen. Then it was colorful for a while and I didn't understand that part. But then this boy was flying through the air with this harness and translucent strings attached, which I could see, and he went fast and high. When this happened my face got red and my shirt stuck to the chair and I was aware of my heartbeat. This was the first time I remember being jealous. 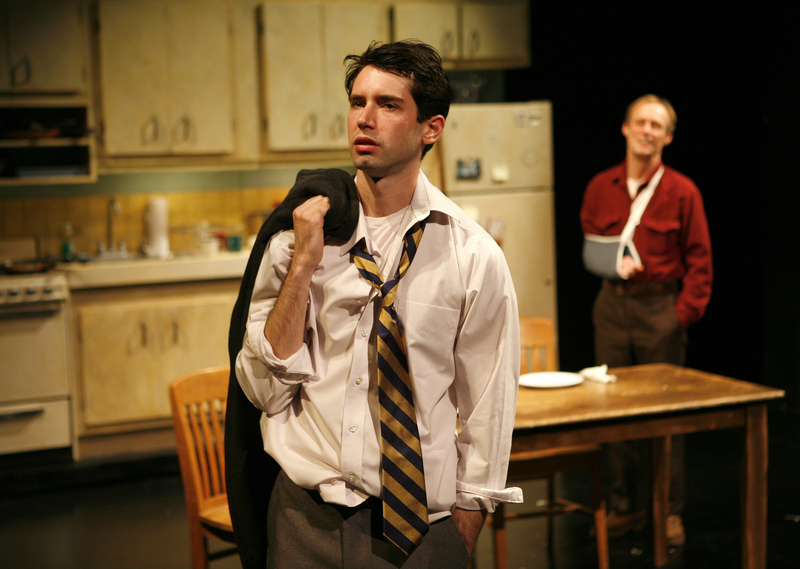 Half 'n Half 'n Half, John Kolvenbach (Merrimack Repertory Theatre 2012). Dir. Kyle Fabel. 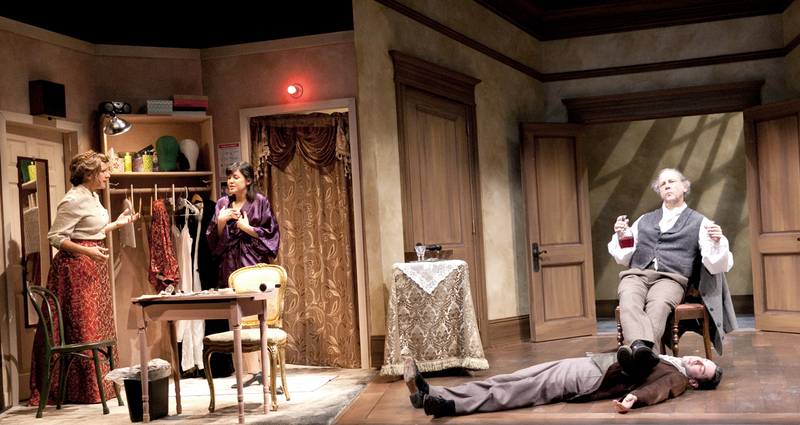 Carol Halstead (Loretta), Zoë Winters (Frances), Jim Ortlieb (George), and Andrew Pastides (Michael). Photo: Meghan Moore. I watch YouTube a lot. Go down these holes. I saw a poor phone recording of a man in west Texas starting a horse in a small circular corral. He was simple and powerful and the animal was the same. It was deeply moving. When you go far enough away from the production of art it seems to appear sometimes. Goldfish, John Kolvenbach (Magic 2009). Dir. Loretta Greco. Andrew Pastides (Albert) and Rod Gnapp (Leo). Photo: Jennifer Reiley. I did John Kolvenbach's Goldfish at the Magic years ago. Too special. I'll just say I met Rod Gnapp. Just a totally surreal experience once where I went up during a two page monologue in iambic couplet and somehow created two completely new lines with the same meaning that rhymed in meter.....don't ask me how. That one was biblical. ‍Love Song, John Kolvenbach (59E59 Theaters 2011). Dir. John Kolvenbach. Andrew Pastides (Beane) and Zoë Winters (Molly). Photo: Jeff Larkin.